I studied at Bradford College of Art and Bretton Hall College. I then taught Art in secondary education for many years, starting in Whitby where I worked with the late Fred Williams , who had a strong influence on my work. 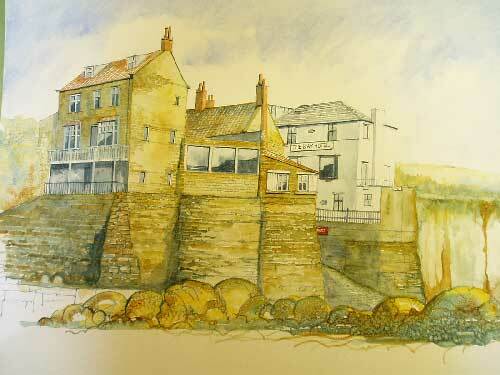 I now work as a professional painter, working mostly in watercolour. Although I work mostly on commissions (for both private clients and publishers) I have exhibited nationally and locally, having had a series of successful exhibitions with the National Trust at Robin Hood’s Bay. My work is mostly of the East Coast where I find great inspiration. However, I have painted many subjects throughout Yorkshire, including, most recently, the Five Rise Locks at Bingley. I have also enjoyed working with Art groups and on an individual basis.